I really had a hard time finding the motivation to see American Sniper. It is the type of movie I avoid as best I can. I do not typically enjoy movies about war. That is especially true of films about any wars that have taken place throughout my lifetime. My first and foremost issue is that I do not find them entertaining. And by entertaining, I mostly mean funny. It is difficult to find very much amusing about the never-ending warfare in the middle east. Beyond that there is just so much beige, and that, in and of itself, is unappealing. I was pleasantly surprised by how much I enjoyed this film. I found parts entertaining and even uplifting. Yes, there was plenty that was disturbing and heartbreaking about the film, but I did not leave the theater feeling exhausted and depressed like I often do after movies about modern wars. 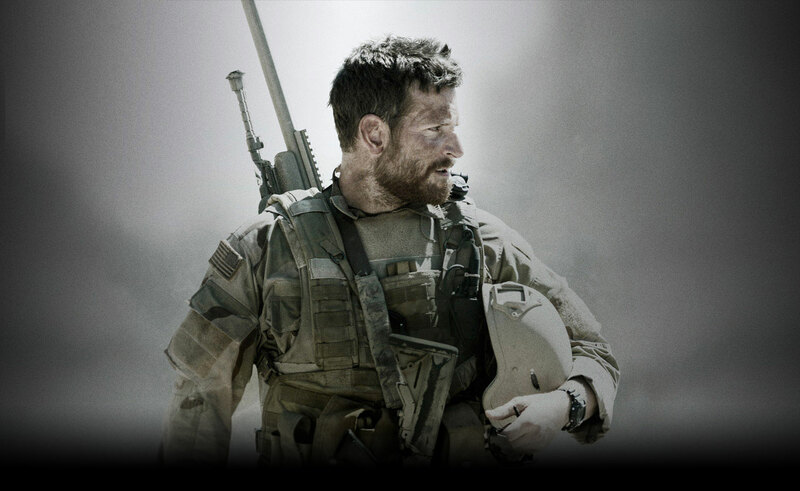 Bradley Cooper did a fantastic job in his portrayal of Chris Kyle. He was charming, as expected, but also convincingly expressed the experiences of war from a different perspective than we often see. I think a tremendous benefit to the film was the casting of Jake McDormand. I did not know that he was in the film before I went to see it. As soon as I saw him, I breathed a sigh of relief because I knew that I would be, at least periodically, entertained. His character, Biggles, was the highlight of the film for me. He brought light to a film about a dark subject matter in the same way, I can only assume, Ryan “Biggles” Job did for these men in real life. The story is powerful. No matter you opinions on war, on sniping, or on the state of our country in general. A subject matter I do not make a habit of tackling on this blog or in my life in general, but an important one for sure. If you are resisting seeing the film because you think it will be a downer, know that this is not the case. The film was entertaining and uplifting while dealing with issues many of us choose to avoid when it comes to entertainment. 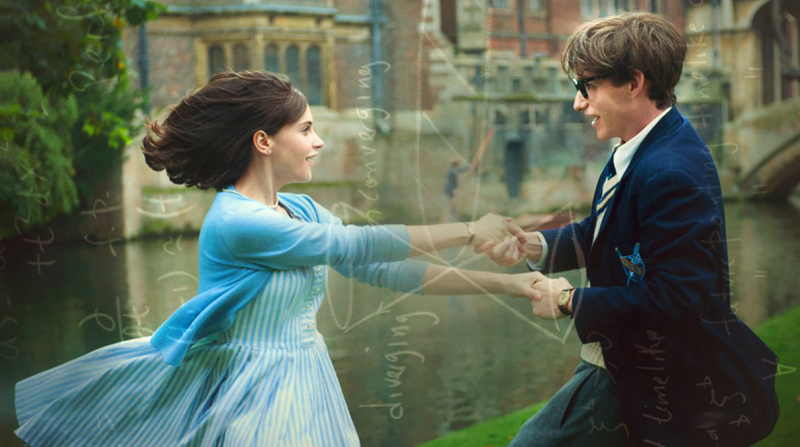 The Theory of Everything is a biographical look at the life of Stephen and Jane Hawking. The film is based on the book Traveling to Infinity: My Life with Stephen by Jane Wilde Hawking. This is a movie that I had been wanting to see for a while. I find Stephen Hawking fascinating. I understand very little of the science (I have never put much effort into understanding science), but I think people who can change the world by solving one math equation have to be pretty interesting people. Beyond that, I love his sense of humor. Stephen Hawking will pop up on shows like The Big Bang Theory from time to time and, playing himself, has some of the greatest one-liners of the series. I thought the film really captured what I know to be true of the physicist, adding the dynamic of Jane, who I knew almost nothing of. The story was both sweet and devastating, triumphant and heartbreaking. I was blown away by the performances, which is not something that happens to me very often. I am often happy with performances, or even pleasantly surprised, but rarely blown away. Felicity Jones, is as lovely as ever. I think she is truly one of the greatest actresses of my generation. She is wonderful in everything. This is a particularly difficult character, I would say, for reasons I would rather not say to prevent spoiling even the slightest of plot points, but she tackles it with courage and grace. Eddie Redmayne, who won the Golden Globe for Best Actor in a Motion Picture Drama, is stunning. I have never been thoroughly impressed with him before, but this role changes that for me. The physicality of the character is truly incredible, but more than that is the fact that he does not speak for almost half of the film, but still brings such personality to the character that I never felt the loss. Another area is one that I rarely think of when it comes to film. That is music. I rarely think about music unless I am specifically asked to think about it. During this film, I noticed and really felt the addition of the music. It was sweet and simple and reminded me of this mathematical music that I encountered during a production where the musician turned Pi into the most beautiful song I have ever heard. That is what the score to this film sounds like, and it was perfect. I highly recommend this film and am very excited to see how it fares as the awards season closes this weekend. In case you have not yet figured this out, I am a huge movie fan. 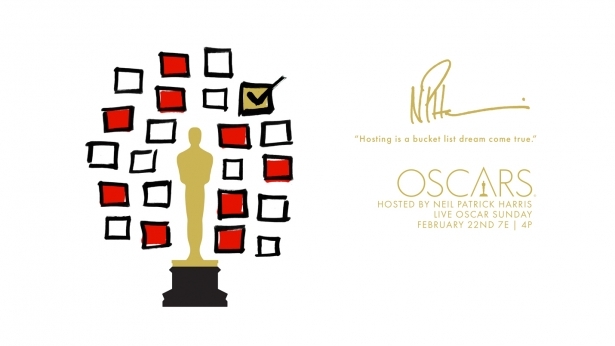 From the date the Academy Awards nominees are announced until the evening of the show, I am doing my best to see as many of the nominees as possible. This year, I am going to post about each of them I am able to see. I have a list narrowed down at this point that includes that include the movies that swept the nominations as well as films from the specific categories that are the most important to me. Included in this post, will be the links to all of the posts about nominated films I have seen so far this year. This is not a complete list of the nominees, just a list of the films I intend to see and the categories for which the are nominated.